Gone are the days when you would take any key to a local locksmith shop and avail a quick copy key service. With technology advancing at a rapid pace, modern keys have turned really sophisticated and impossible to duplicate or reproduce. Every commercial establishment uses such high-security keys within its premises to protect sensitive business information from falling into the wrong hands. Have you lost the keys to your file cabinet or workplace chambers and need a new one? Do you want to create a spare key to avoid emergency situations? Don’t rely on amateurs and choose only credible locksmiths like Phoenix Super Locksmith. With over 10+ years of experience in offering quality copy key service, Phoenix Super Locksmith is the most trusted locksmith firm in Phoenix, AZ. We have a pool of competent locksmiths who can reproduce any type of key, right from mechanical ones to high- file security cabinet keys. 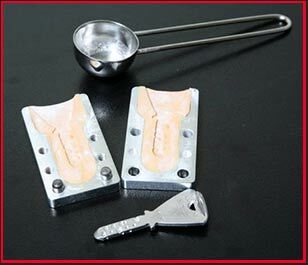 We take great care in reproducing a key for your commercial purpose and ensure that the new one does not have sloppy edges through strict quality checks. Being the industry leader is not an easy task and requires a tremendous amount of determination. The support of countless commercial clients motivates us to set higher benchmarks and stimulates us to better our own performance each and every year. We are the only locksmith firm that organizes rigorous training sessions for its locksmiths for skill development and constantly upgrades its equipment to ensure high-quality output. When it comes to quality, no one can beat our locksmith. Not only do we offer highly economical copy key service, but ensure that every key is built to last and made from superior quality material. Unlike traditional locksmiths, we rule out imperfections by using state-of-the-art equipment. Plus, we offer services at the convenience of your location. Our mobile locksmith vans are spread extensively within the city and can duplicate any key right before your eyes. Do you need a new key for your mailbox or file cabinet? Avail our 24-hour copy key service at an affordable price. Call us now on 602-687-1407 !